In this guide, you will learn about TOP-7 best military watches and the history of this device. Find out what functions you should consider before you buy a product and why it is important that the item has a pedometer, biometrics, compass, GPS, and some other features. This guide will tell you what makes tactical watches different from conventional ones. While a table featuring these products will help you to choose the best watches under 100 and under 200 as well as more expensive or cheaper models. How did military watches get their name? What functions do military watches have? For as much of a fixture as they are in the social consciousness, the wristwatch being a common part of everyone’s attire was barely a century. Before the 30th century, they were considered female jewelry exclusively, men carrying pocket watches in stead. By the early 1900s, the problems of pocket watches became apparent, and the convenience of the ladies’ timepiece won out, and wristwatches became common sights. They changed over the years. Quartz movement miniaturized them and stopped them from having to be wound. Digital watches were more accurate, less bound by construction constraints, and much easier to read at a glance. While smart watches occasionally get a glance, the average consumer hasn’t really adopted it widely. The thing is, pulling a phone out of a pocket or purse to check the time is how most do this. It’s mildly inconvenient to have to get it out, but less than the expense and cumbersome nature of a watch. Smart watches just don’t generally bring enough added functionality to justify themselves. However, this doesn’t mean the market for a watch is extinct. There are times and places where a rugged, wrist-mounted, simplified device can come in handy. Anyone working in a hazardous environment may not want their phone to be obliterated by said environment. Hikers, campers, and other engagers of nature will also find this helpful – especially if it’s a military watch. These are almost smart watches in a way, really. 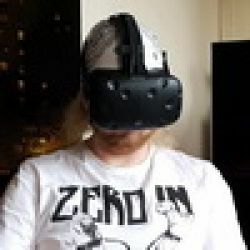 They do have some advanced circuitry for displays, readouts, easy configuration, and more. Military watches, unsurprisingly, got their name due to the military. Much of the technology, materials, and the functionality that these watches generally use, was first developed for military use. Rugged watches like these, with the ability to give you more than just the time. It became a general term for watches of this form factor and technology sector, though few of the ones on the market are the literal models used by soldiers. There are exceptions to this, as some of these companies do make these and other things for the military. Similar watches include diving watches and hunting watches, which share many of the same technology and functions. What Functions Do Tactical Watches Have? These watches don’t all always have every defining feature, and some excel in different departments. However, the basic rugged construction is a constant, and a couple display data types are also fairly constant. Let’s go over a few of these functions. Stopwatch – Most of them offer stopwatch functionality, counting up or down. This is obviously useful for a lot of things, like timing cooking when outdoors, and so forth. Calendar – These watches usually offer a calendar function, showing the day of the month, the day of the week, and if you want, the year. This is something that even cheap digital watches in the eighties did, so it should be common here. Pedometer – Some of these offer pedometers, so you can track how many steps, or how many miles, you’ve traveled in a given direction. This is actually a very important feature for hiking and exploring especially. Biometrics – Some of these can monitor vitals such as body temperature and heart rate, which can be helpful in rough conditions. It’s always a good idea to keep an eye on health-related things, anyhow. Compass – A compass should be a given for these, as it’s another thing even cheap digital watches can do nowadays. GPS – Not all of them do this, but the good ones do. GPS is an invaluable tool for if you get lost or hurt in the wilderness, you can identify where you are and maybe signal help. This is a very helpful and important feature. Altitude Readout – Your altitude is important if you’re in mountainous terrain. Knowing your altitude can be important for certain health things, as well as how chemistry behaves at different air pressures. 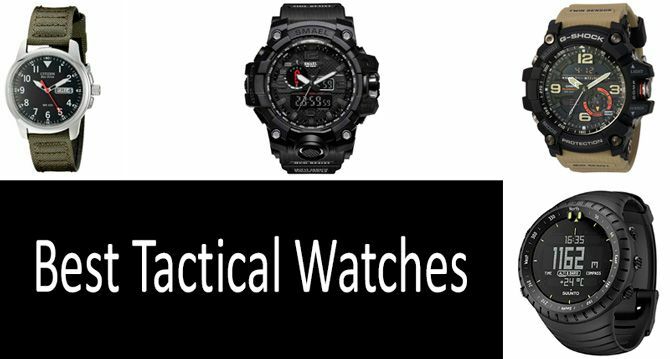 Below, you will find a review of TOP-7 best tactical watches at a price from $50 to $650. These models differ in the strength of the material they are made of and whether they have a calendar, altimeter, GPS, compass, and other features that are important for the military. Some options even come with a storm warning system, which is a great feature for those who live by the sea. Garmin is known for their in-car technologies, such as GPS, smart consoles, and the like. This gives them a background in compact electronics easily controlled through limited means. While this would lead you to expect a proper smartwatch from them – and there’s no saying they won’t eventually – right now, we have this fairly smart military watch instead. This is the nicest watch on our list, and this is what modern military watches look like. I did after all point out things this can do as common things for military watches moving forward. This watch basically has something of an app system, albeit a walled garden. It can manage contacts, run GPS displays, that sort of thing. It’s very easy to use, and the display is nice and clear on it. Not web smart or android compatible. Display is black and white. Compass thing in the upper right is a separate display for some reason. It’s a little annoying. Casio is a name you don’t hear much about anymore, outside the music keyboard market. They used to be all over the place. They’ve designed CPUs, they sold British PCs in the US in the 1980s, they made calculators, pocket organizers, and of course, watches. This is an example of a mixed display concept, using hands and gauges for some readouts. Display Type – Mixed LCD and Hands. This is your basic military watch that’s been standard for a while, before compact pocket computing became cheap. You have a basic time telling set of hands, you have calendars, day readouts, temperature, etc. If I had to have one with hands, this would be it, but the absence of advanced display makes it something I’d only need if I camped – and I don’t. I don’t like hands for time telling. It uses hands. Why does anything even? So, the immediate thing with this one is it’s pricier than the previous Casio we were looking at. It has mixed LCD, but less of them and using older technology too. So, why is this one so much more expensive? The truth is that the cost of this one is the materials – it’s tougher than the other one, and its sensor systems are more advanced. It may have less of an advanced display, but its internals are smarter. I don’t like this one as much as the other, and it’s more expensive. However, it’s more durable, and a little easier to use, and these make it a pricier watch. It has its market, certainly, it’s just that the more digital it throws away, the less it captures my fancy. Only two, small LCD readouts. A little weird to interface with, though very easy once you learn what you’re doing. It has reasons for being so costly, but none of these reasons are good enough. This one barely qualifies as a military watch, outside its strong construction. The glass and band are designed withstand some nasty environments, but there’s not much to this watch outside that. It can tell you the data and day, and the time. That’s all it does. Expect these to get much cheaper as there’s vanishingly little point to these nowadays. Display Type – Hands and rollers only. Calendar – Yes to a degree. Multiple Times – Not on this one. This one is only for people who really like traditional watches. That’s all this thing is – a traditional wrist watch made with military grade materials. It’s quartz movement, with date and time readouts of the most archaic form. I really don’t know why they still make these, as even my elderly neighbor uses a digital watch at least. It has no digital components. No illumination aside from glow in the dark hands. Barely tells you the calendar date. Isn’t really that amazing looking as a fashion statement, looking like a cheap watch with a canvas band. I’ve made it clear that I (and many) don’t like the hands to tell time thing. It should have been phased out the moment digital displays became decent. However, while I’d rather see this use a digital display, I can see this one being useful for security guards. SureFire makes tactical lights for the military, so it’s not that surprising that their watch would be an LED flashlight. Since it already has integrated circuits, I don’t understand why they don’t just make it digital, but I guess designers are still afraid that digital isn’t “classy” somehow. As if class is more important than being able to easily read the thing at a glance. The flashlight is neat, but only certain people will get much use out of this one. While not as smart as the Garmin, this is another pretty smart watch. It has several digital readouts, with high-res grid displays to give you useful information. If I wanted a watch for the sake of a watch, this or the Garmin would be my choice. Display Type – Matrix LCD. This one isn’t as slick as the Garmin, but it’s second place for sure. There do exist some professions where you’re required to wear a timepiece, and if I worked in one of those fields, this or that Garmin would be my choice. I like more than just the time and date, and I like it displayed to me in a crisp digital way, not 15th century clockwork and levers! Solid display that’s easy to read. No hands! Lots of data including altimeter. Digital synchronization for accurate time. Very waterproof, meaning weather can’t ruin your watch. Comfortable, which most watches honestly never really have been. For younger users that go camping or hiking, or other such things, this is a good watch for them to have. It has a compass, it has some backlit digital readout stuff. I don’t like the hands, and really don’t get why this one, which is for a market that came after digital watches, has them, but whatever. Display Type – LCD and hands. If you have someone younger in your family that enjoys the outdoors, this is a good gift. The outdoors are one time when a more rugged, low-logic device like this can actually be very advantageous. However, as I said, this is a case where the presence of old readout technology really baffles me, I’d think younger people would expect digital. Compass is very simplistic and imprecise. Uses hands to tell time, which just shouldn’t happen on any chronometer in this day and age. Which military watches are the best? This depends on what you’re after, when it comes to these. See, while most of these have a few different types of data, only some are digital, or at least, completely digital. Only two of the watches we’re looking at are purely digital, the others having integrated, simpler LED/LCD panels for other things. If you want an all digital experience – and I for one would – then you’re going to need one of those two. If you want GPS, that limits you to a couple as well, of the pricier end of things. If you’re one of those people who still liked actual hands and stuff on their watch, then you have a bigger choice. At this point, though, since you’re giving up some of the smarter readouts, you can get away with a cheap one and still get what you want out of it. The SMAEL we’re looking at later is worth looking at. How to use military watches? The way you set or access different aspects of a military watch varies from one watch to the next. Generally, there are buttons, and in the case of one with hands, a knob. But, the buttons can do different things, depending on the designer. In the case of this, read the instructions. They’re there for a reason, you know. As for how to read the information, that also depends on what all information it has. In most cases, it will indicate what the different data means. If the data doesn’t make much sense, it’s because it’s stuff you haven’t any experience with. There is, of course, no shame in that. Generally, these watches hold up to impacts, temperatures, nasty environments, and even water to an extent. How waterproof these watches are does vary a lot from one manufacturer to another, though they tend to be good up to at least 10 feet if not more. You could swim in a pool with them usually, which is nice. If it uses military time (usually, you can change this), telling military time becomes second nature eventually. I for one actually wish it was used unanimously. But then, I also wish the US would use the metric system and that daylight savings time would be abolished. Anyhow, to tell the time, if it’s over 12, it’s OM. Subtract 12 from that time, and you have the stupid AM/PM version of time. Yeah, it means using a little math, but come on, it’s good for you to flex those mental muscles once in a while. Power depends on the watch, but usually, they take standard watch batteries. Some USB charging ones exist, but are rare for now.